The project proposal application will be available in early September 2018. ONE informational agency session will be offered: Wednesday, September 19 at 11 a.m. This informational session is designed to educate agencies about the JLB and its volunteers. Agencies who have never applied, have applied but never partnered with the JLB, or who have a new project idea are strongly encouraged to attend this session. The Informational Session will be held at the JLB building. Project proposal applications are due at 4 p.m. – NO EXCEPTIONS. The project proposal application is available online here. For more information on the application, click here. The Community Research Committee reviews and studies all project applications. Reviews are designed to determine if the proposal meets JLB criteria and to determine if the proposal contains all the required information. Site visits may be conducted. Any changes regarding project proposed volunteer numbers, jobs or funding will be discussed with the agency prior to the Community Research Committee’s final meetings. All agencies will be notified of the final decisions by the end of February 2019. Please Note: All New Community Partner Applicants will receive a site visit. 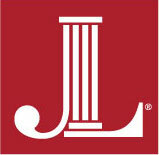 Recommended projects are presented to Junior League of Birmingham membership and approved by the Executive Board. Agencies that are approved as a Community Project for the 2019-2020 League year, attend The Community Circle Breakfast in the Junior League of Birmingham Auditorium on Thursday, April 4, 2019 at 8:30 a.m. Please note: This is a requirement for all agencies that are approved as a Community Project for the 2019-2020 League year. You will sign your contract at this meeting. Junior League of Birmingham membership votes on final projects by their sign up for Placement. Agencies are notified of the final volunteer numbers and of the new Project Chair.